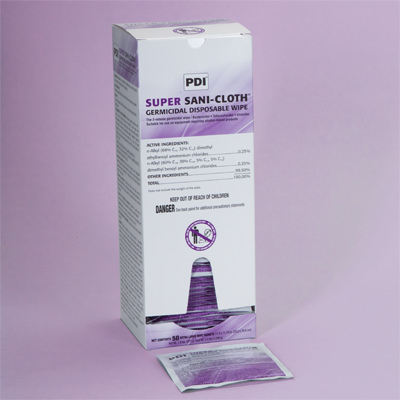 Disposable infection control wipes feature a thick, strong embossed material that is highly absorbent. Save valuable time! Wipes are presaturated with the correct amount of germicidal solution, so there’s no mixing or measuring. EPA registered; meets CDC and OSHA guidelines. Maintain compliance to protocols. Natural, latex free, bleach free and phenolic free. Available in individual packets and canisters (#7380).